Wonder - Available as a download or stream? 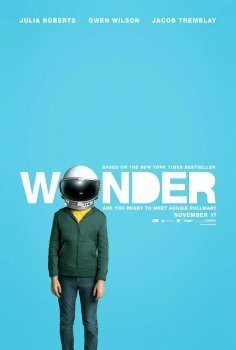 American writer/director Stephen Chbosky's second feature film, "Wonder", is going to be released to cinemas on November 17th, 2017. The story, based on the novel of the same name, revolves around a fictional child named Auggie Pullman who has serious facial deformities. The movie stars Julia Roberts, Owen Wilson, and Jacob Tremblay in the leading roles. From the comments section: V: 4 A: 4 Starts off out of focus, so give it a minute for it to get adjusted. Little darker than usual for TS.